My name is Brian Hubbell. I am the chair of the Mount Desert Island Regional School System, an Alternative Organization Structure constituted of eight municipalities of Bar Harbor, Cranberry Isles, Frenchboro, Mount Desert, Southwest Harbor, Swan's Island, Tremont, Trenton, and the four-town CSD that administers the Mount Desert Island Regional High School. 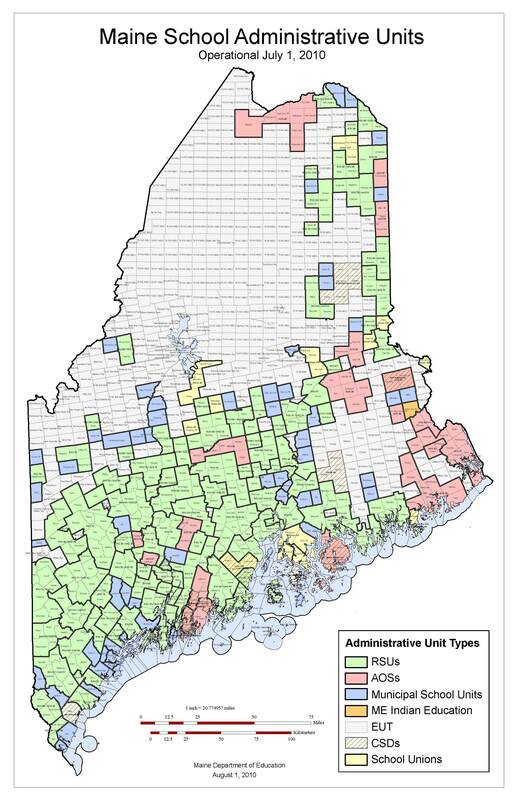 Unlike many other areas, the MDI school system is relatively homogeneous in relation to the factors that affect state subsidy All but two of our units are minimum receivers and so most of our state subsidy is just a partial reimbursement of the local costs of special education. Because of this, we were able through our interlocal agreement to devise a method for internally apportioning the lump distribution with reasonable approximation. It wasn't perfect, but it was good enough to relieve our members' apprehensions about entering into an AOS. However, as we already account internally for the actual special ed costs incurred within each member unit, reporting this information to state would not cause us any additional work and this process would be useful in validating the local distribution of the state reimbursements. It seems likely that this bill would remove some of the impediments that keep other areas from realizing the benefits and efficiencies of the AOS regional model. ...c. Retention of Allocation Flexibility. 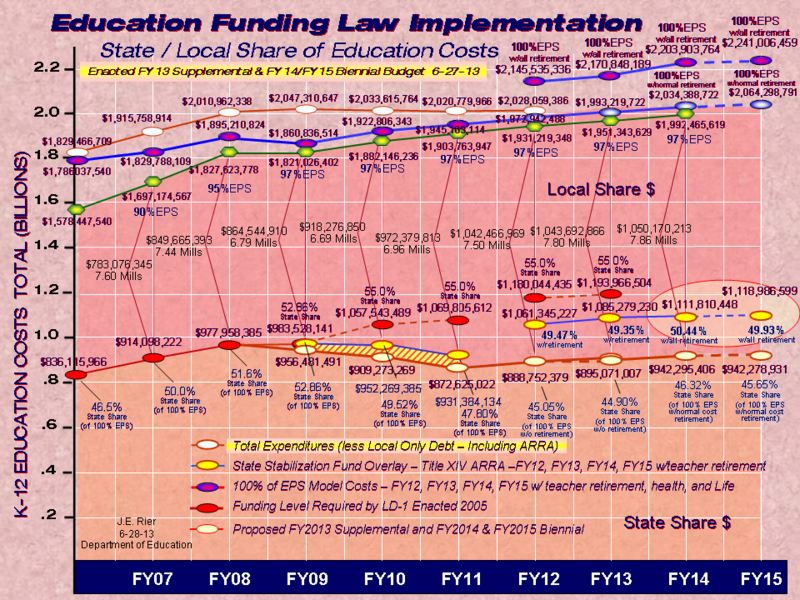 The Member School Units recognize that the Maine Legislature has a history of making changes to Maine’s school funding formula, that other circumstances may change, and that it is not possible to include in this Interlocal Agreement a precise formula for allocating State subsidy among Member School Units that will achieve the goals of the State subsidy allocation policy ...in future years. To retain flexibility in the method of allocating State subsidy among Member School Units, the RSS school committee, by a two-thirds vote of its full membership, may modify the initial method of State subsidy allocation ...in order to better achieve the State subsidy allocation policy outlined above.